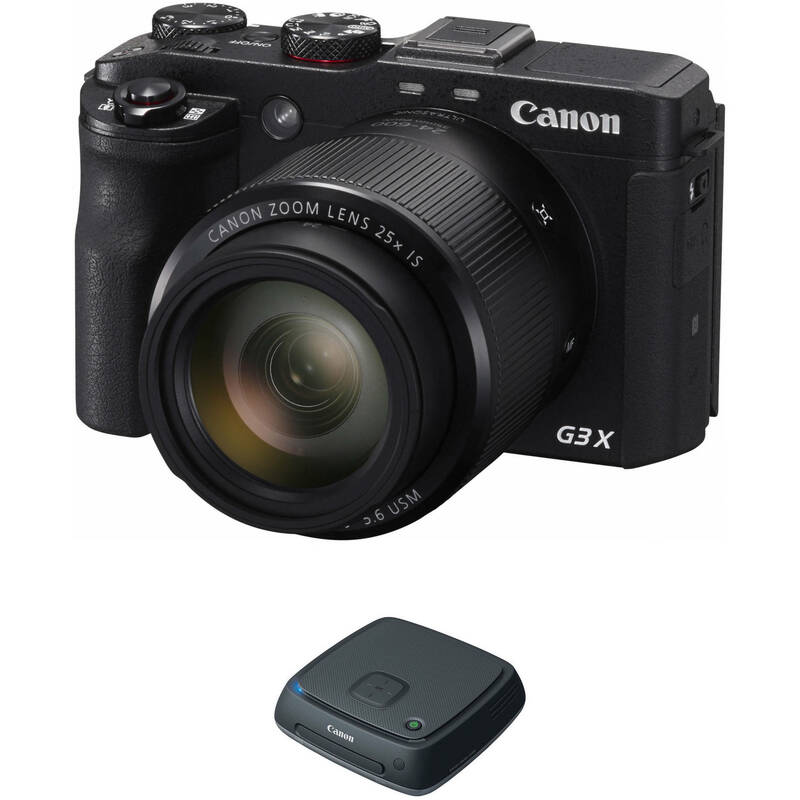 Bundling a versatile long zoom camera with an intuitive storage device, the Canon PowerShot G3 X Digital Camera with Connect Station CS100 Kit from B&H includes the advanced point-and-shoot along with a wirelessly accessible storage hub. Characterized by a large image sensor and long-reaching zoom lens, the PowerShot G3 X pairs a 20.2MP 1" High-Sensitivity CMOS sensor and DIGIC 6 image processor to form the Canon HS SYSTEM for enhanced low-light capabilities, fast shooting performance up to 5.9 fps, and Full HD 1080p/60 video recording. Matching the imaging versatility is the expansive 25x optical zoom lens, which provides a 24-600mm equivalent focal length range, and is aided by Intelligent IS image stabilization as well as a quick 31-point autofocus system. A 3.2" 1.62m-dot tilting touchscreen LCD serves as an intuitive means for composing and reviewing imagery from various angles, and built-in Wi-Fi with NFC allows you to wirelessly share imagery with a smartphone, tablet, or Connect Station CS100. Also included within this kit is the Connect Station CS100, which is a media hub, designed to store, manage, and view up to 1TB of multimedia content. Transferring to this storage device is possible using NFC and Wi-Fi, and a USB 2.0 port as well as SD and CF card slots is also featured for importing content. Playback is supported on HDTVs from the device using an HDMI connection, and the drive's contents can also be viewed using a web browser on a computer or mobile device. Box Dimensions (LxWxH) 10.2 x 8.9 x 3.8"